The Bayfest 2018 event was launched on Saturday, and there are events throughout the month to help keep the children entertained. 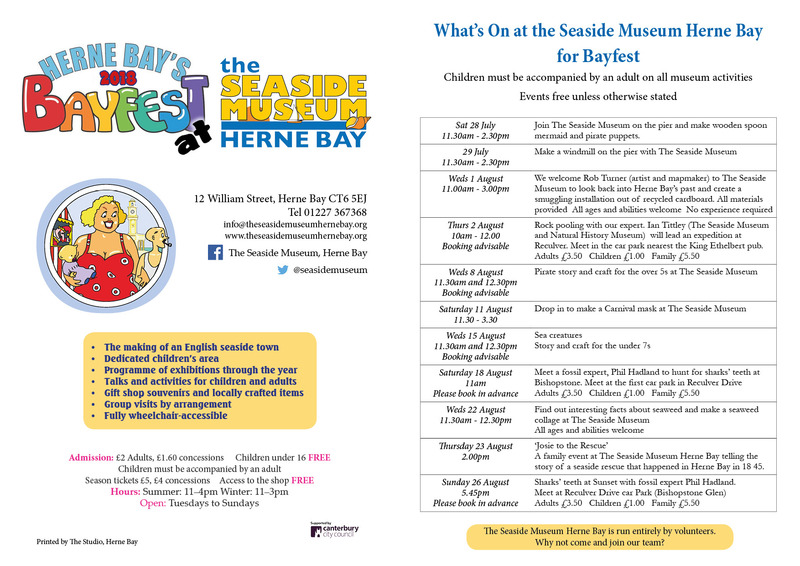 Check out the Bayfest booklet, available around the town, or pick up a leaflet from the museum giving more details of our events. Most events are free, some have a small charge, and some are best booked in advance, as space is limited. Previous Previous post: Don’t forget our photo competition!